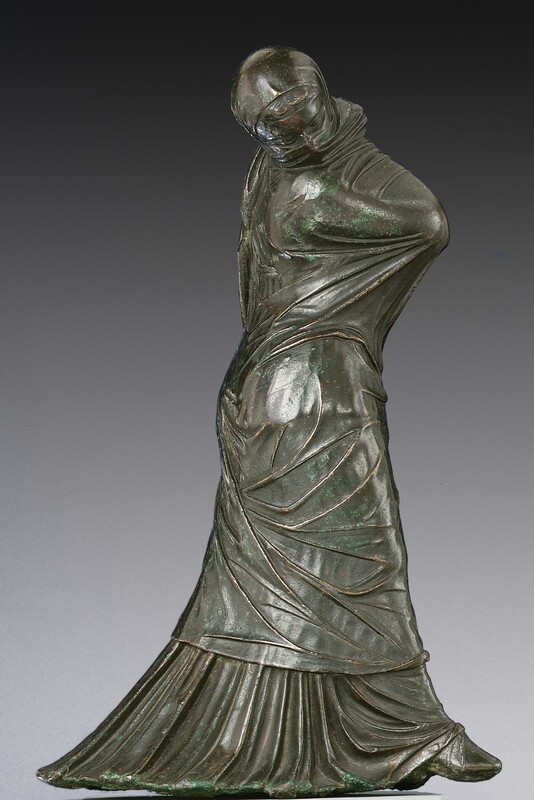 This object is a hollow-cast, bronze statuette of a dancer. It is from the Hellenistic period and was likely made in Alexandria. 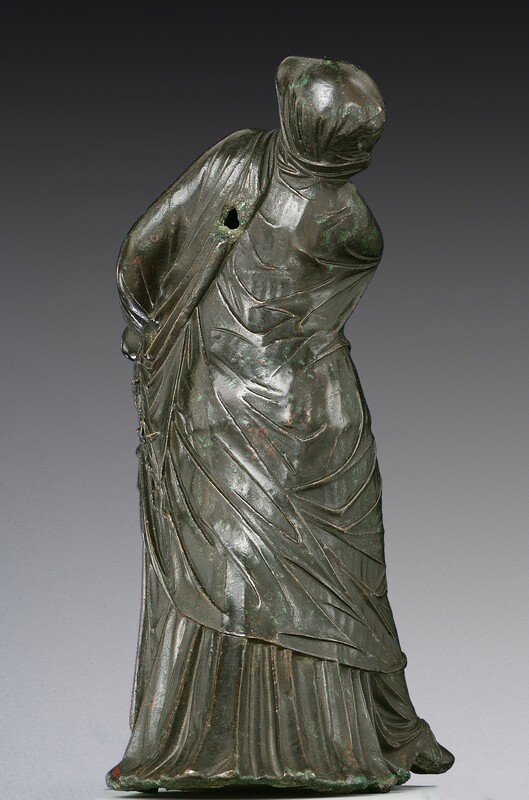 It is exemplary of Hellenistic statuary because of the highly exaggerated movements and the clear impact that the motions have on the clothing. The dancer is almost completely covered and yet her form and movements are still evident to viewers. Her movement is complex. 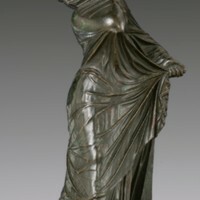 Her left leg extending forward with her skirt trailing behind implies forward motion, but her head, and her shoulders to a lesser extent, are bent back and to the left. 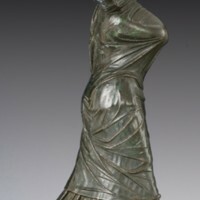 These combined motions give the impression of spinning and twirling, which is likely what the dancer would have been doing based on the type of dance she is believed to be performing. This is a lot of motion to be portrayed by a static object. This was often the purpose of Hellenistic artists and is the main point put forth in Janson’s History of Art. 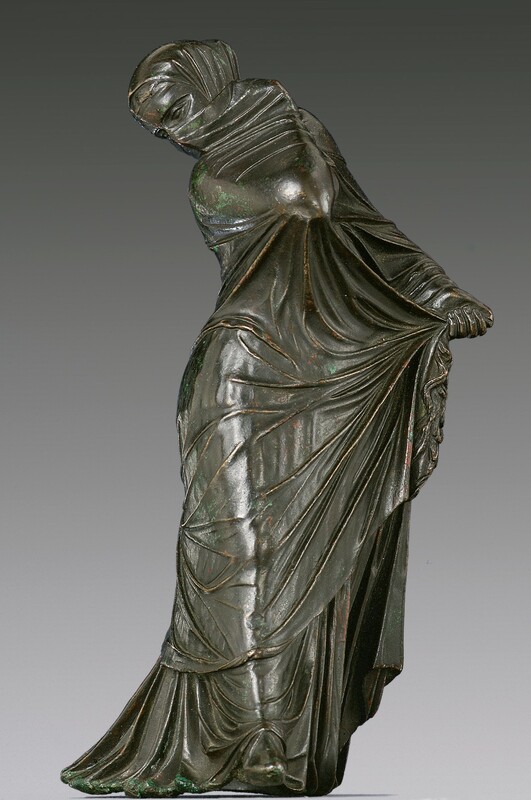 This statuette would perfectly demonstrate what the textbook is trying to convey about Hellenistic sculpture. 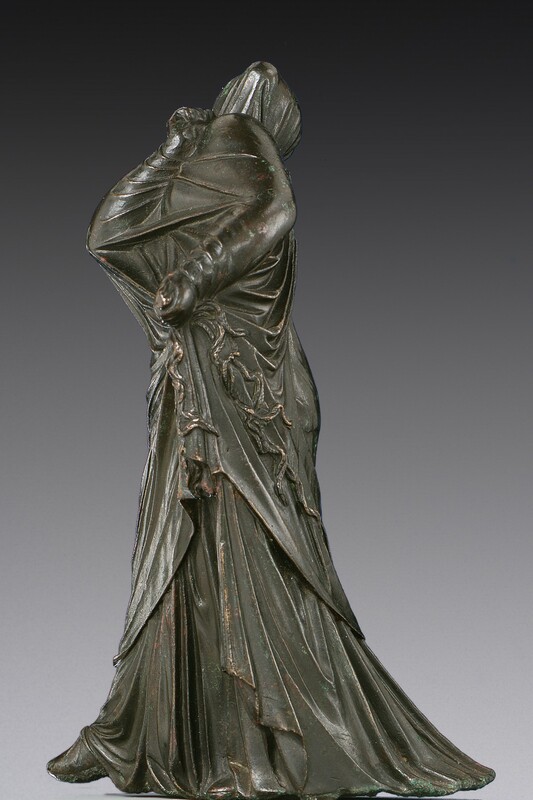 It would pair well with the Nike of Samothrace (fig. 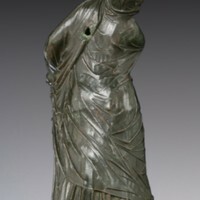 5.74), since it would provide an example of a bronze statue to compare with marble, and it would contribute more complex motion than the Nike, who is just moving upwards. It would also allow for students to see what the artists could do with heavier fabric than the “wet drapery” of the Nike. It would not replace the Nike as they are two very different, yet equally important, examples of art from the Hellenistic era. 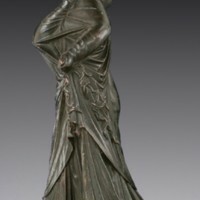 “Bronze statuette of a veiled and masked dancer,” accessed April 22, 2019, http://metsurvey.kenyoncip.org/items/show/49.